Is it possible to beat corrosion? – HubNut – celebrating the average! Is it possible to beat corrosion? I’m getting a bit fed up with the fact that all of my cars are rusting. I nearly always buy cheap, so it’s not surprising that most of my automotive purchases have a dose of tin worm. In theory, buying more modern machinery would give a much better chance of beating corrosion, but I don’t like modern cars. The Sirion is quite modern enough. And it’s still rusting. So, quite naturally, I’ve been wondering whether it is possible to own a vehicle that is rust proof. In theory, the answer is yes. All that’s necessary is a galvanised chassis and plastic bodywork. This must be the perfect vehicle then! Yes, the Reliant Rialto. A mild re-working of the legendary Robin. An important change was the move to a galvanised chassis. This protected the steel chassis from rust, while there were no corrosion worries with the glassfibre body. I even like the looks, though its less cute than its predecessor. I’ve not driven a Rialto, but I have driven a Robin. I drove it quite hard too. They’re far more stable than you might think, but I’m still not sure I’d ever feel entirely comfortable in one. I’ve done some very silly things with the 2CV, and it has always remained the right way up. The Reliant does have limits, and I’d be scared of one day finding them. There’s also the annoyance that stems from having the engine effectively beneath the windscreen. Some of the engine is accessed from outside, some inside. Or maybe that’s an advantage when it’s raining. I’ll leave the Rialto on the ‘possible’ list. Galvanising became more and more popular during the 1980s. Porsche became major advocates of it, on the 911, 928 and 944. Problem is, I’ve seen enough 944s with utterly rotten sills to know it isn’t always foolproof. Besides, I can’t afford a Porsche. Audi also started to use it a great deal, but Audis are boring – unless they’re very quick, in which case they’re expensive. No, I think the combination of plastic and galvo chassis is the way forward. Problem is, most cars were monocoque by the 1980s – apart from the odd anachronism like the 2CV and heavy 4x4s. There is one car that strikes me as ideal however. It’s French, which is always a good thing, has a proper number of wheels, and offers massive practicality. Yes, the Matra-built Renault Espace. I’d love an early one, but they’ve all pretty much disappeared. It is still possible to find second generation ones from time to time though. I’m not sure I’d want a later one, as complexity started to compromise a great design. The Espace is a true pioneer though. Sure, it wasn’t the first MPV, but it was the first to make real sense in Europe. Super-flexible seating allowed to to switch easily from people carrier to van, while its overall footprint was the same as a large estate. It wasn’t enormous. It was a van-sized car, rather than a van trying to be a car. It was good to drive and wonderfully quirky. That’ll be Matras input. Matra does quirky very nicely. The Espace was originally designed by Matra to tempt Talbot, but that company had its own issues. 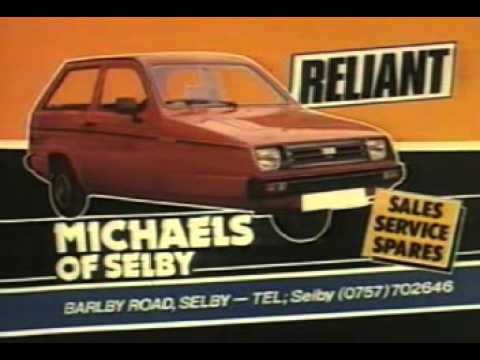 It does explain why the first Espaces looked more Talbot than Renault though. After the third generation of Espace, Renault killed off Matra quite cruelly. The fourth-generation Espace was built in steel by Renault itself. Renault gave Matra the ‘compensation’ of building the Avantime. Which was a complete disaster, compounded by Renault creating an in-house rival in the form of the Vel Satis! Karma got its way though, and Renault forgot how to make diesel engines and almost went bankrupt. I digress. I would very much like an Espace. It would have to replace the BX though. I think it’s probably a sacrifice worth making though. I can’t keep using BXs as cheap daily transport, as they’re no longer up to it. They rot too readily, and when they go, they are not at all easy to repair – especially if the rear subframe mountings go. Would I trade some quirk-factor for a rust proof vehicle? Yes. I think I would. I would love an early espace, a family friend had two of them both bought brand new, I’m sure danny Hopkins had one for a while not sure if he still has it though. You could try and find a early Saturn S model as sold in the USA they had plastic panels . About as quirky as a BX. Aye. Enjoyed reading about Danny’s. Think it has gone to a new home now.